Parents Work. Children Learn. Families Thrive. Children receive health and education services, home visiting, early childhood education, out-of-school programs. Parents receieve education for parenting, literacy and basic educational skills, as well as workforce training for jobs that pay well and offer opportunities for advancement. Strong connections and coordination between the services for parents and children make it easier for families to participate and succeed. 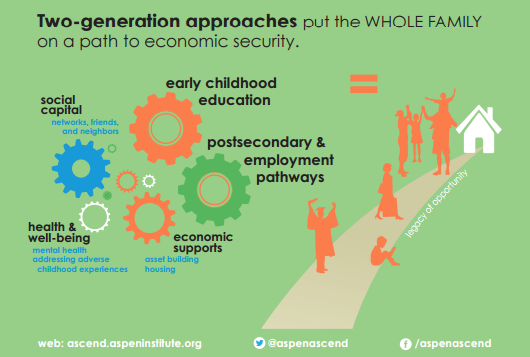 Learn more about the core components in the Two-Generation Playbook from Ascend at The Aspen Institute. CAP Tulsa specifically focuses on a two generation approach that aims not only to prepare young children for future success in school, but also their parents through programs designed to increase parenting skills, employability and earning potential. 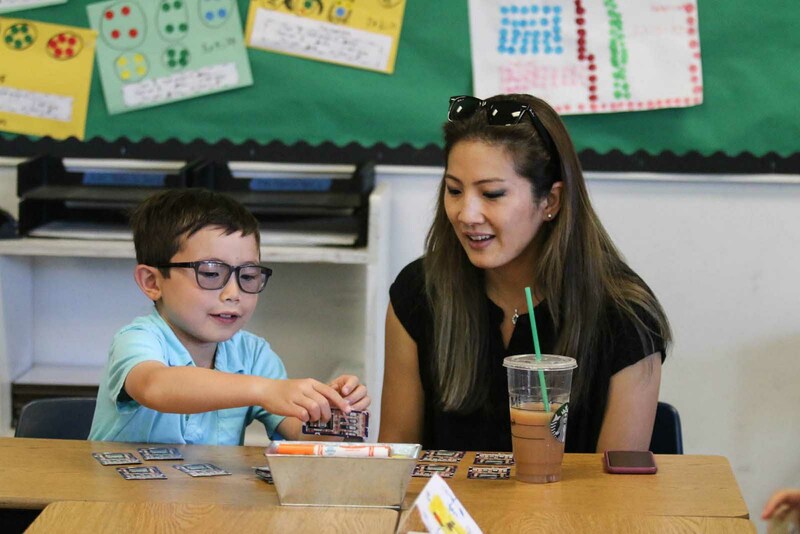 Our goal is that children enter school prepared for success, families create a nurturing and secure environment for their children and that families are connected to one another. Over the past year, a small group of stakeholders and thought leaders from the Austin community, who represent adult workforce, adult education, and early childhood education programs, have met to discuss how local service providers might collaborate in implementing such a strategy for Austin. We have met with many service providers and are ready to take the next steps toward making two-generation programs a reality in Austin.